College professors are desperately seeking new ways to curb abuse on Yik Yak, the social network that allows users within a 1.5-mile radius to post an anonymous message to a community bulletin board. The regional nature of the app has made it incredibly popular, though students are reporting an uptick in abuse from classmates who are free to post anything they want without fear of identification. Dozens of teachers at various schools have tried to flood the app with positive comments because school administrators are largely unable to ban the app from campus settings. Instead of acting as a school rallying point before a big football game or holiday, Yik Yak serves as more of a bathroom wall where racist, sexist, homophobic and other vile-natured posts are there for anyone to see. In one case highlighted by the New York Times, a teaching assistant at Eastern Michigan University logged on after a class and found that many of the nearly 240 freshmen in the class had been openly mocking their professors throughout the course. 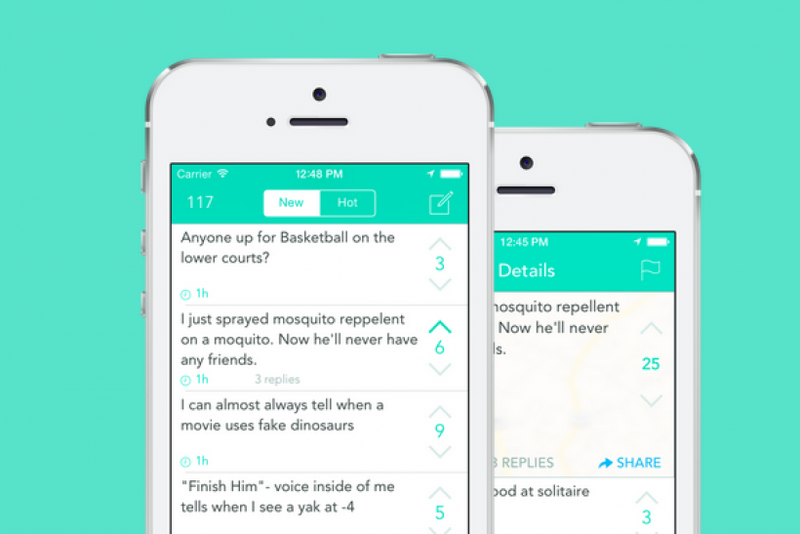 Yik Yak advertises itself as a place where people can share their thoughts without compromising their privacy. And the app's popularity has surged as Facebook and Twitter have made it more difficult to use anonymous profiles. That shield of anonymity, however, has resulted in multiple threats of mass violence at more than 12 college campuses throughout the country -- the University of North Carolina, Penn State and Michigan State University among them. The company cooperates with authorities after a bomb or shooting threat, and words like “Jewish” or “bomb” lead to an automatic prompt asking the user to consider what they're about to say. That's not enough for Matt Ivester, who founded the online message board JuicyCampus before shutting it down in 2009 after it became used almost exclusively for cyberbullying. He told the Times its the responsibility of founders Tyler Droll and Brooks Buffington, fresh off a $62 million round of funding, to intervene.